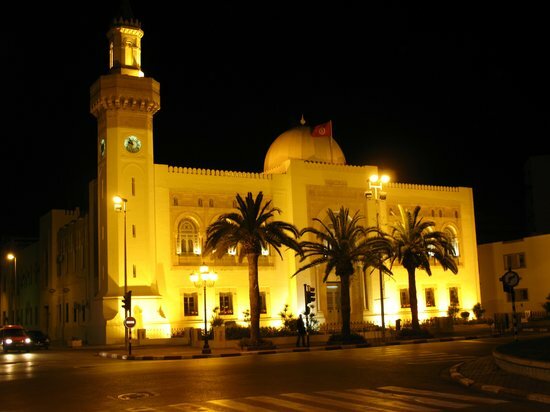 Sfax (Arabic: صفاقس‎ Ṣfāqes; Berber languages: ⵙⵉⴼⴰⴽⵙ Sifaks) is a city in Tunisia, located 270 km (170 mi) southeast of Tunis. The city, founded in AD 849 on the ruins of Taparura and Thaenae, is the capital of the Sfax Governorate (about 955,421 inhabitants in 2014), and a Mediterranean port. Sfax has a population of 330,440 (census 2014). The main economic activities of Sfax are industries (phosphate processing), agriculture (olive and olive oil, nuts), fishing (largest fishing port in Tunisia) and trade (import-export). The city is often described as Tunisia's "second city" (after the capital Tunis).